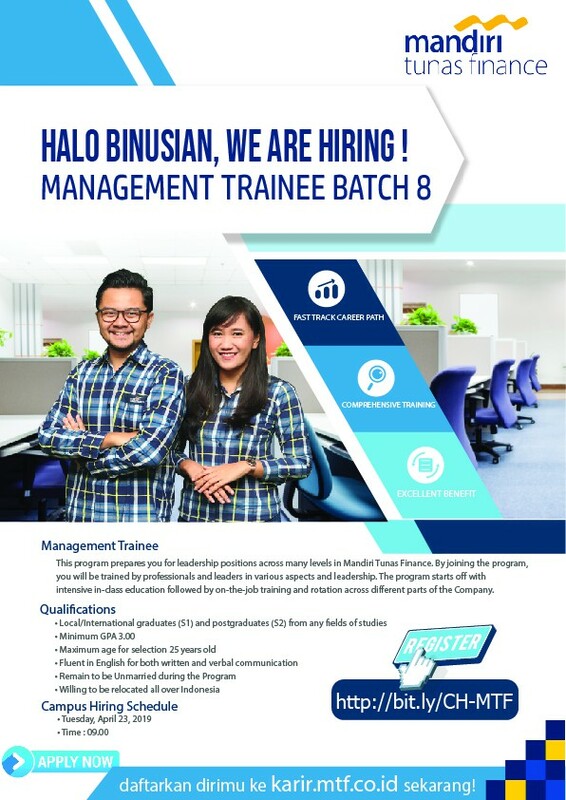 Career center BINUS Kemanggisan are holding a Mandiri Tunas Finance Campus Hiring event! For those of you who are looking for a job, this may be the opportunity you are waiting for. This event open for Bunisian and public.